Scotsman letter by me on the Simon Ehrlich bet. Julian Simon, an economist who was an enthusiast for human progress once famously bet Paul Ehrlich, who has achieved guru status among "environmentalists" by spending the past 40 years predicting dozens of catastrophes, all of which have failed to happen, that prices of raw materials, including oil would fall in real terms. 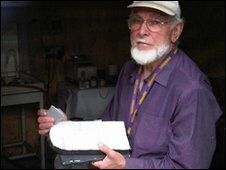 Mr Simon expected to win because he believed human technological progress is the true source of wealth. Mr Ehrlich enthusiastically took on the bet. Mr Simon won easily. All the raw commodity prices listed, not just oil, fell compared to incomes. Learning from this, neither he nor any other "environmentalist" has ever been willing to repeat the bet, although their propaganda still assures us the dooms from "peak oil" and other raw material "peaks" are shortly due. If the SNP wants Scotland to hope for eco-catastrophe to save us it is in for a disappointment. However I did make a mistake here, working from memory. The commodities Ehrlich chose were all metals and did not include oil. Presumably he thought oil was not one of the materials most certain to become scarce. This does not affect the principle which applies to any commodity. The commenter has challenged me to dispute his lie but despite what I think is his honest mistake of saying I sometimes comment on the Scotsman online, I am censored from their site. I have asked the Scotsman to make this clear with this email, which journalistic integrity, if it exists, would require them to do. I will say if they do act on this. Slioch here asks me to reply or be assumed wrong. The Scotsman editors should either remove that challenge or, preferably, add a comment explaining that, since I mentioned the fact that our "police" (formerly the KLA) had been dissecting living people to sell their body organs you have decided to censor my commenting. It continues to be largely censored by the British Media and indeed yourselves. a former hairdresser from North Yorkshire, England. Ward saw a news story about how most of the deaths in an airplane accident had been caused by the toxic fumes from burning plastics. Having spent time working on new formulations for shampoo and conditioner in his home laboratory, he decided to try his hand at concocting a more flame-retardant plastic, and after a series of experiments that ran from 1986 to 1989, he came up with a formula that seemed to be impervious to any sort of heat. So what went wrong. Why don't we see it? Most conspiracy theories of this nature assume that Big Business has bought up the patent to prevent it undercutting their product. Quite the reverse here. Big business showed a lamentable lack of interest until.there noses were rubbed in it by TV demonstrations. Where it broke down was on money. Mr Ward, apparently wisely, didn't patent it since doing so would have made the process public and stolen it from him (patent lawyers make big bucks by finding just how close to the patent you can reverse engineer something without infringing the patent).. This invention was clearly worth billions. Possibly still is. I suspect that if one man can do this the process could produce variants too. None of the big companies were willing to offer billions and Ward wasn't willing to settle for a small fraction of the profits. This is from somebody who thought he was doing Ward a favour. We brought Maurice to Calgary and introduced him to a group of investors and pitched several proposals for marketing his product including one involving the University of Calgary and the establishment of a research and development centre. That little effort cost us $80,000 CDN. My partner knew Maurice personally, and if anyone had a chance to do a deal with Maurice it was us. Like some of the thoroughbreds I have owned over the years (mostly hayburners) Maurice proved to be very unpredictable. The more we offered, the more he seemed to want. We went way beyond what reasonable investors would do, but I have a personal philosophy to help my fellow man and Starlite would help so much. But alas no deal would satisfy his continuously increasing agenda. In short, he was a moving target. But they were clearly not talking about billions. This is one of the holes in libertarianism as a theory. Classic libertarians tend to think that patents are an infringement of free competition and thus should not be allowed. This means that while they defend property rights as a basic social right they provide no protection to "intellectual property". On the contrary I believe that technological progress is the root of almost all wealth creation . All of the land, coal, iron , North Sea oil, etc in Britain was owned, 10,000 tears ago, by a few thousand cavemen but with a technology limited to flint aves they were not billionaires. The same free market argument for rewarding the owners of factories and land applies to rewarding the producers of ideas, perhaps much moreso. Currently patent law does not provide sufficient protection and business has got used to getting away with it as Mr Ward's treatment shows. The potential investor quoted above was not, by his lights, shortchanging Ward because he was doing better than his competitors. But compared to the value avaolable he was. Probably he had to because patent law doesn't give adequate protection to anybody and had he handed over billions for the patent he would have been bust as competitors worked round the patent. In 1888 Tesla sold the rights for his AC patents to Westinghouse Electric. Westinghouse company records show that Tesla received $60,000 for his patents, and was to receive $2.50 per horsepower of electricity sold. Four years later, Westinghouse was experiencing serious financial difficulties that required a company reorganization. George Westinghouse's investment bankers advised him to get rid of Tesla's royalty contract. Given little choice by his bankers, Westinghouse reluctantly called on his friend. After explaining his problem Westinghouse said, "Your decision determines the fate of the Westinghouse Company." By definition we cannot know how much human progress has been held back by not rewarding invention to its true value, because the missing inventions are missing. It did not prevent the invention of AC by Tesla but his subsequent history suggests several, perhaps many, important ideas were lost. Ward is obviously an example here. The single most damaging loss of progress, one that even as a believer in the right of inventors to a true reward, is the invention and hiding, for years, of birthing forceps. 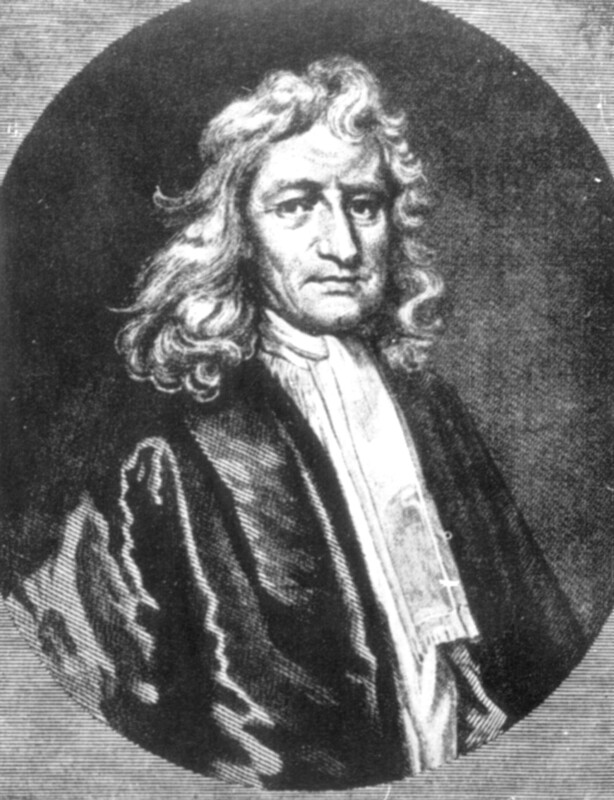 Hugh the younger Chamberlen (1664-1728), was the last in the Chamberlen family to practice the secret use of the forceps. Toward the end of his life the design and use of the instrument entered the public domain. The first illustration of the forceps was published by Edward Hody in 1734. So for nearly a century and a half one procedure that could have reduced the agony of birth and saved millions of lives was kept a family secret because they wouldn't have been able to retain the profits. Hopefully most inventors are less hard hearted than that but we have no intrinsic right to expect them to be. There is little reason to expect corporations funding research not to take this into account. There is one possible answer to this , on which I will have more later, and that is X-Prizes. HT to Fortean Times for reporting on Starlite. Tunnel boring seems to have become very matter of fact since the Robbins company, in the late 1950s developed longer lasting cutters. Today you can get a "slightly used" tunnel boring machine for $300,000. I think this explains why the Norwegians have been able to mass produce 750 km of tunnels at £4 million per km. 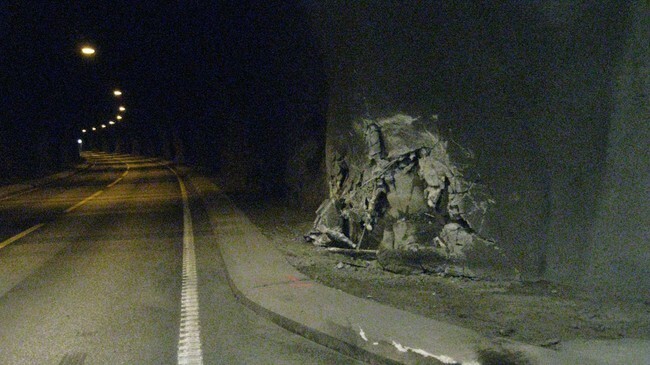 That plus they leave the walls rough while we smooth them over with concrete as with the Hindhead Tunnel (£371 million) . Pictured. Personally I think the natural rock looks way more cool. None of this explains why our government insists it is impossible to bore the Forth tunnel of a bit over 2 km for under £6,600. If there is an explanation that doesn't involve incompetence, bureaucratic parasitism and fraud I would certainly be interested to hear it but it is not a subject any of our main party politicians are willing to discuss. 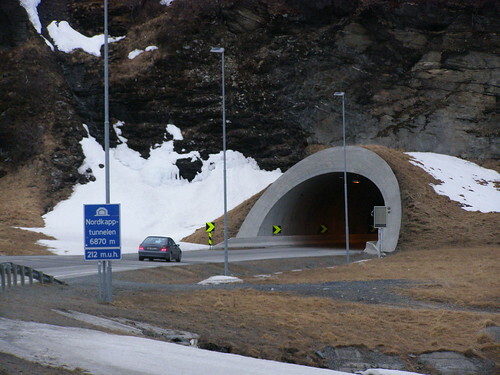 But lets look at some of Norway's tunnels, via Wikipedia where they are linked. Trondheim has a population of 173,000 and it has multiple tunnels. Think how transport in Scotland, particularly but not exclusively in the Highlands and islands could be revolutionised if we had a similar standard of transport systems. We are told that the M74 extension, a few miles of conventional motorway which only slightly speeds up transport isalready on line to produce 700 jobs. Good transport and perhaps also good education are the main things government can do to improve national wealth. This is my latest article from the ThinkScotland site (somewhat improved by Brian editing it into equal sized paragraphs). Please put any comments there. THE NEW SNP government has said that its priority is to change the new Scotland Act to include, gaining control of the Crown Estates; enhanced borrowing powers; and control of corporation tax. Westminster has said it can only have the borrowing powers – what should it have done? Let’s deal with the ideas one by one. The Crown Estate stuff is to get control of the foreshore and the "profits" to be made from setting up lots of sea turbines there and making cheap electricity. Good luck on that one. The SNP's insane attachment to renewables has been discussed by me before (1) and though the party remains unpersuaded by me, neither has anybody in the party disputed any of my facts. “Renewables” is a subsidy generating industry more than an electricity producing one. The only “profits” that will ever be made from them will be from the subsidy put into them. Diverting some of the profits into the Scots treasury so that they can increase the subsidy is a perfectly fair way of letting Salmond dig a deeper hole for himself. To be fair, the SNP's procedure of putting up an X-Prize of £10 million for whoever can produce a "commercial" sea turbine design is an intelligent and innovative way of doing this really stupid thing. Prizes for achievement are provably a far more effective (about 60 times more per £ invested) way of developing new technology than the traditional handing of grants to “preferred bidders” and government employees. If a truly commercial sea turbine is possible that is the way to develop it, but because renewable power is so dilute the laws of physics strongly suggest it isn't. Still, the SNP should get credit for proposing a method more progressive than any other government in the world has (though John McCain wanted to use such a prize to develop improved batteries and Newt Gingrich has long been on record as proposing to use X-Prizes on a whole range of projects, all of them more sensible than windmillery). But giving this power to Holyrood to tax something useless will be no skin off Westminster's nose so what’s the problem? The borrowing power might be little skin off its nose either but it should not be given. The problem with letting governments borrow money is that they tend to do it and leave repayment to the next generation. We have seen far too much of that lately. If Holyrood gets that power the pressure to “spend its way out of recession” will be enormous. We could find ourselves in the situation of Greece even before we might become independent. Maybe from the Westminster point of view that looks useful, preventing us choosing independence, but it would also reduce our constructive role in the union. If the union is really to have a future, as I hope, it will be because both parties benefit from it. Independence is only an issue because the British state has failed so abysmally over the past century and a lot of that is because we, particularly but not exclusively Labour governments, have been able to pay for more government than is good for us – out of borrowing. The only way this could work would be if Westminster was and was seen to be absolutely not guaranteeing the borrowing, in which case it might be instructive to see Holyrood having to pay a higher interest rate than the UK government. But the big issue is corporation tax. Cutting corporation tax, along with cutting regulations, particularly building regulations, have been the prime causes of Ireland's spectacular growth (2) from 60% of our per capita GNP in 1989 to what is still, despite its banking crash, significantly higher than the UK's. This has been recognised for some years in Scotland, where we are more attuned to the Celtic fringe than in Westminster (though not as much as in Northern Ireland). Leaders of all parties here have suggested cutting CT here and it is the most noticeable issue on which the Scots, normally considered to be left leaning, are noticeably to the right of the UK average (3). This is explainable because it is a power in Westminster's gift. With a little more gumption, however, the SNP could have used the power to give grants matching a proportion of CT thereby circumventing the limits as described in Bruce, A. and T. Miers (2003) Scotland's Hidden Tax Cutting Powers, Policy Institute (4). Perhaps the reason for not doing so was a lack of gumption or perhaps it was the SNP's vested interests. It is, after all, officially a socialist party. Nor did the SNP get any pushing from the other parties who, united in the Calman Commission, determined to give us almost any power except CT on the grounds that “Divergent rates of Corporation Tax across the UK would create economic inefficiencies as firms react to tax consideration” (5). I.E. don't do it because it would work. The description of reacting to price as an “inefficiency” would not have earned the approval of Adam Smith. The argument for Westminster parties here is that if Scotland (& Northern Ireland, which is even more determined to get the same power as its neighbour) gets this power they will “steal” jobs from the rest of the UK. I think that is a bad argument for 3 reasons. Firstly it is openly claiming to sacrifice Scots interests to English ones, and in a way that an independent Scotland could rectify. That is hardly likely to inspire anybody to maintain the union. Secondly it is an example of Milton Friedman's remark – “Most economic fallacies derive from the tendency to assume that there is a fixed pie, that one party can gain only at the expense of another”. Certainly some industries that might choose Scotland might have otherwise gone to England. Some would have gone to Ireland, or France, or Germany, or the USA, or Dubai. It’s a big world out there. And many investments simply wouldn't have been made, the investors spending it on wine women and amateur dramatics. That's how free enterprise works. Moreover, over time successful investments spill over borders. A growing Scottish economy is thus good for the Westminster Exchequer and for English workers. Thirdly, and more subtly for those who want a successful economy south of Berwick, is the example it would give. Just as Ireland has been a good example for Scotland, leading Scots to appreciate the benefit of pro-growth policies a successful Scotland would encourage the same understanding in England. If Scotland was cutting CT successfully voters, particularly in the north of England would be receptive, indeed clamouring for, similar cuts there. George Osborne has made a small CT cut and I am certain would like to make a bigger one if it was a priority with the voters. Tax competition, between very similar economic areas in a beneficial direction is unequivocally a good thing. The fact that different states in the USA compete over taxes is one of the reasons why its economy has historically been so successful and a strong argument against both a unitary state and full separation. Calman’s complaint against tax competition only makes sense if the purpose of government is to get away with as much taxation as possible. Free market radicals, as Scots once were and the present Westminster government claims to be, should welcome Holyrood getting the power to cut the single most destructive tax on economic growth. There is also the effect on the SNP of them getting what they ask for. The SNP is a strange party with outright libertarians all the way through to Marxists and “environmental” technophobes in its tent. I have suggested that many of them may have been happy not to have been called on to fulfill their free market “Celtic lion” promise (and to have been able to blame the English into the bargain). If they get the power to cut CT they have painted themselves into the corner of having to use it. If George Osborne were then to use his power to do the same they would have to do it again no matter how many sacred cows had to be sacrificed. The voters would insist on it. And in due course, with improved growth, both sides of the border would prosper. A few days ago I put up Colin McInnes blog here. It is not one that will see new articles daily or even monthly, since he is a busy boy, but his imaginative commitment to human progress is a tonic when our political class is so resolutely opposed to progress. I first saw Professor McInnes at a Royal Philosophical Society lecture which I reviewed here. Also a regular letter writer to the Herald and Scotsman in support of nuclear power an, more importantly proved the feasibility of Robert Forward's statite (a satellite held in position, probably over the Pole, not by orbital mechanics but by a solar sail). Some recent links I have been reading on the global warming scam. Britain's schoolchildren are no longer all to be getting forced classes in warming propaganda though individual schools may choose to keep lying. Montana court rejects "Our Children" alarmist groups petition on cutting CO2 - this establishes an important legal precedent. Prof Jones says his previous acknowledgement of no significant warming since 1995 ino longer applies - not because of more warming but because an extra years figures lower the barrier of "significance required". Discussion on Bishop Hill , in the comments, finds that (A) he has got his calculations wrong and (B) when the next set of figures come out this "significant" warming will almost certainly again sink below this horizon of significance. Had Jones been asked not about 1995 but 1998, the high pouint from which there has certainly been cooling, he would presumably have dismissed its "significance" on different grounds. Calls for electricity bills to include money taken to subsidise windmills as a separate item. The Department of Energy and Climate Change have released figures showing that greenhouse gases, including CO2, showed an increase of 2.8% in 2010, making the UK's 2022 target to reduce emissions by 35% likely to represent a real challenge. Worth the pain then! This letter went out to papers across Britain. It first went to the Scotsman where it was written as a direct reply to an op-ed article by Michael Kelly saying the "end of the age of cheap energy guff but it wasn't published so I rewrote it. I found it was published in the Metro (free newspaper, not well known for the political content of its letters and with no link on Google News) on Thursday. It probably, thereby reached about 10 times as many readers as in the Scotsman. Bits edited out highlighted. 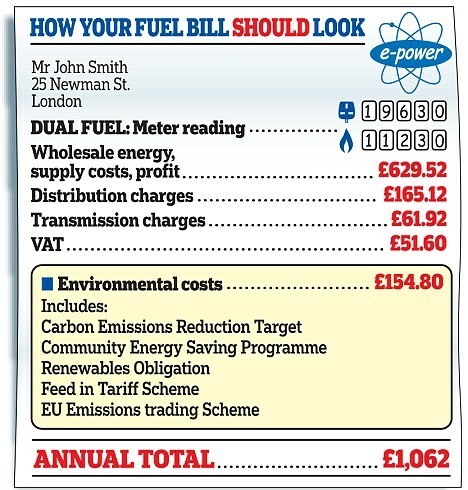 Numerous politicians, while one day lecturing us that "the age of cheap energy has ended" the next are lecturing Scottish Power for putting their prices up. The fact is that the only reason prices are going up, rather than sharply down, is because these selfsame politicians, of all parties, introduce extra fuel taxes to subsidise windmills while spending the last 2 decades vetoing the actual producers wishes to build inexpensive nuclear plants. The age of cheap energy has barely dawned. There is enough uranium dissolved in sea water alone to keep the world economy going for billions of years - producing electricity at 1/10th what we currently pay (I guess that means 1/11th of what we will pay in the autumn). There is 4 times as much thorium. 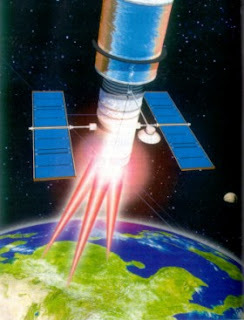 Before billions of years have passed, or even many decades, we will have solar power satellites and fusion, both of which can provide thousands of times more power than we use now. However our Luddite political class, Britain & even the EU may make it illegal to use such power, just as the 16th C Chinese government made it illegal for citizens to own ocean going ships. That did not end the age of sail it merely ensured it would be a European dominated age. In the same way our politicians will not prevent the age of cheap energy, merely exclude us from it. The editing simplified it and I suspect their core readership knows little of Chinese history. The exclusion of the reference to fusion suggests that the editor understands the subject - fusion is certainly decades away, unless cold fusion turns good, and possibly hot fusion will never be fully practical because keeping a hydrogen bomb going at unvarying output is inherently difficult. There is no problem getting power and when there are several methods of doing it some will work but that overriding principle is more important than what particular methods will work.